There is a place on earth which one is sure must only exist in fairy tales. Complete with a castle and many fabled stories of what happened behind its gates, it is truly a remarkable location. It is a place where worries suspend and relaxation and tranquility encompass your entire being. A perfect coastal beach where oceanic wildlife can still be spotted from the shores and footprints quickly wash from the sand, erasing what few reminders there are that you are not alone in this picturesque haven. Though its sandy beaches are not the type for sunbathing and frolicking, it is just as well, as this stretch of the California coast would not be the same without the peace and quiet that is broken only by the crashing waves and the occaisional call of a seagull. 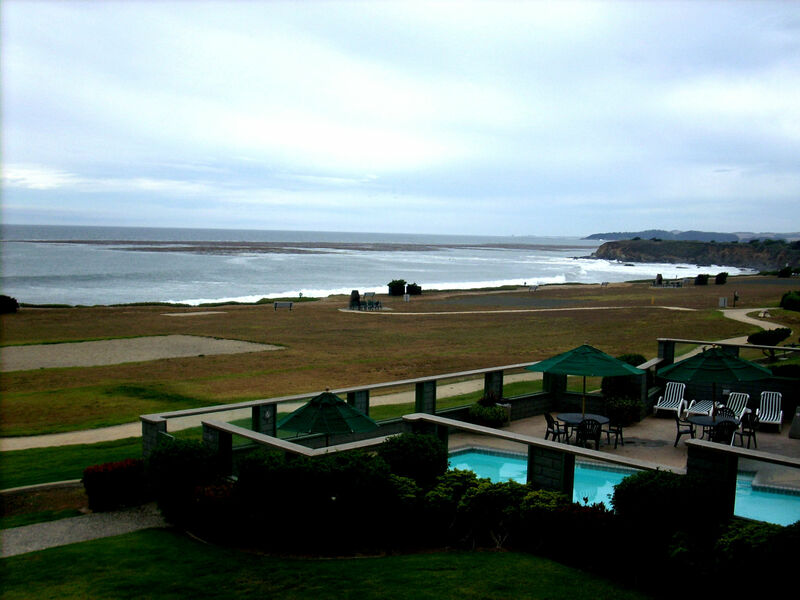 This amazing destination, located only four hours north of Los Angeles, is the quaint town of San Simeon. I've been making the 350 mile trek to San Simeon from Palm Springs since I was only a baby. Once a year my family and I would pack up all that we needed for a week on the coast (plus a little more for good measure) and cram it all into the back of our car. After six hours of various fumes, traffic, and detours, there was nothing like the feeling of finally pulling off of highway one, rolling down the windows, and inhaling as much of the ocean air as my lungs could hold. Our destination was always a welcome site; the Cavalier Oceanfront Resort. Located directly on the beach, in relative isolation, I've never known a better resort. The Cavalier has comfortable rooms in a price range that is likely to fit most budgets. Most rooms have a fireplace which is conveniently stocked with wood and matches. As you step outside in the evening, the unmistakable aroma of sea breezes and burning wood greets you, as at dusk each night the pink and orange sunsets are silhouetted by three outdoor fireplaces. Each fireplace is encircled by several green plastic chairs which are quickly occupied as the chill of night sets in and the warm dancing flames become irresistable. Just past this are walking trails which lead from the rooms and meander along the bluffs above the beach. These trails are perfect for strolling, catching the perfect snapshot of the retiring sun, or walking your favorite four legged friend (the Cavalier is pet friendly). Hearst Castle is located within San Simeon city limits and as a California State Park, it is open to the public. Previously home to William Randolph Hearst, the compound is a grandoise extravagance that has over fifty bedrooms and sixty bathrooms. With the large and bountiful gardens, one of a kind priceless art pieces, substantial Julia Morgan designed dwellings, and knowledgeable tour guides, there is sure to be a tour that interests everyone. 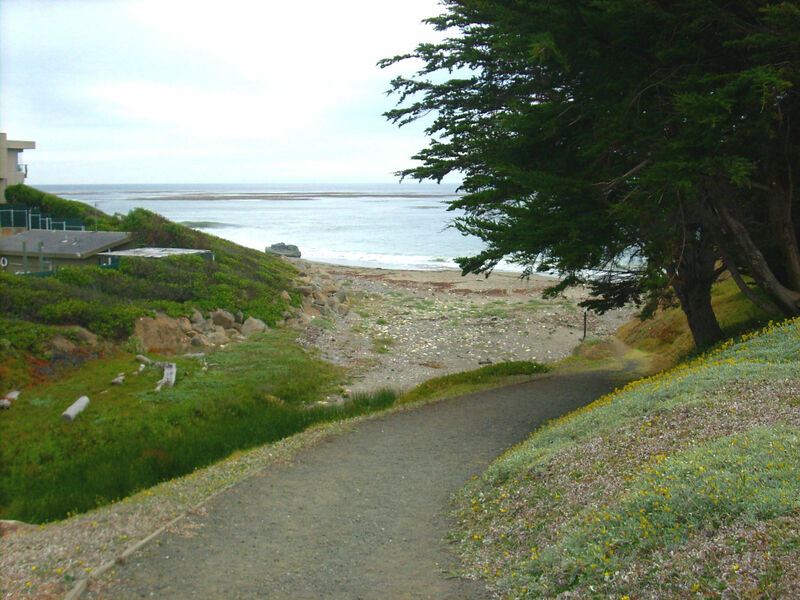 A short drive from Hearst Castle and San Simeon is the Piedras Blancas Rookery. 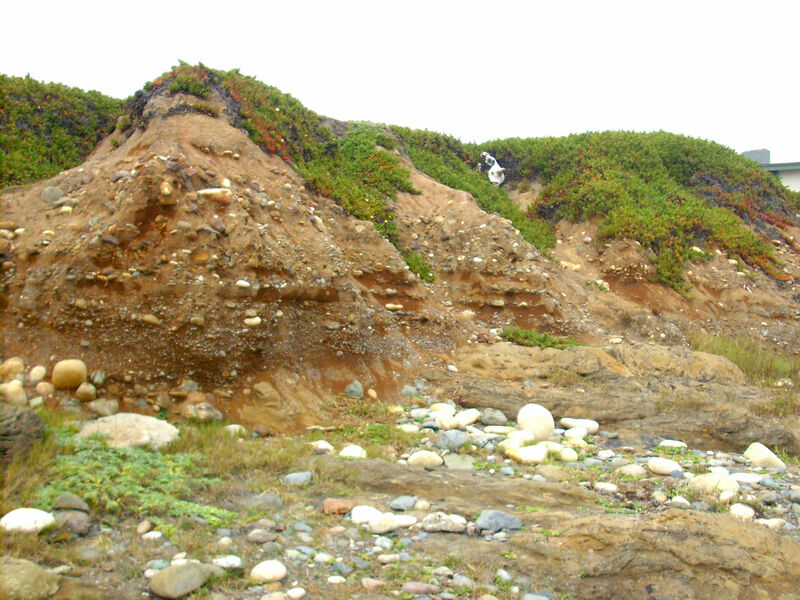 Here, Northern Elephant Seals can be observed from the beach where they come to birth and breed. If you can't get enough of these marine mammals, head over to the Friends of the Elephant Seal Office and Visitor Center and pick up a t-shirt or video. The shop is located in the Plaza del Cavalier right next door to the Cavalier Oceanfront Resort. 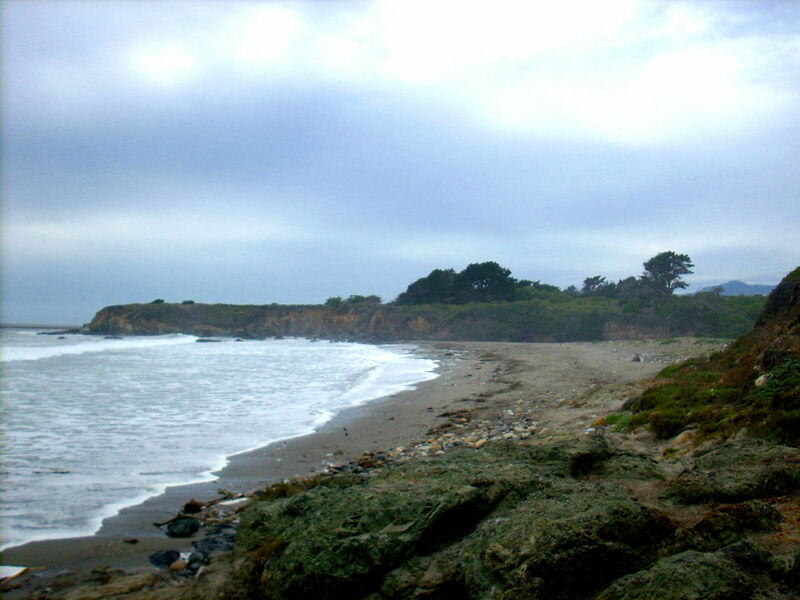 About ten miles from San Simeon is the extremely charming village of Cambria. Main Street (yes, that's really what its called) is lined with small shops and is the perfect place to get those gifts you know everyone will be expecting when you return from your holiday. I make a habit of stopping into Lucia Apothecary and grabbing a few of my favorite locally made bath accoutrements. If you're looking to go a little farther, a day trip is always possible with San Luis Obsipo, Morro Bay, Pismo Beach, and Big Sur all within sixty-five miles of San Simeon. Each time I visit San Simeon, I feel renewed and serene. Traditionally, I take one last walk on the beach before I climb back into my ocean dew kissed car and head south. As the wind gently blows the hair from my face and the sand softly sticks between my toes, I step over drifting seaweed that has washed ashore. I look out at the expansive ocean where dolphins swim and otters lounge, and see the Piedras Blancas Light Station in the distance. In a moment I will be back on the road with the fumes and the traffic, but for now I am surrounded by the breaking waves, on the edge of the earth where life stands still for one remarkably diminutive week each year. San Simeon holds memories for me that could not be replicated in any other setting; it will always be my ideal peaceful getaway. Prev Article Prev Article Jag Heter Selena, Vod Heter Du?